Previously I have talked about my lawn and the bald patches and ditches created by the previous owners’ dog. Over the past couple of months, attempts have been made to remedy this. The amount of problems I have come across, and am still encountering, are doing my head in! My attempt to remedy the holes was with top soil and grass seeds. This solution has been somewhat okay, however there are a lot of dips and bumps remaining over the entire lawn. Having read up several methods of fixing the fertiliser burn, the cheapest way for me at this stage is watering and ‘flushing’ out the chemicals everyday for about a week and ‘waiting and seeing’ how the lawn responds. 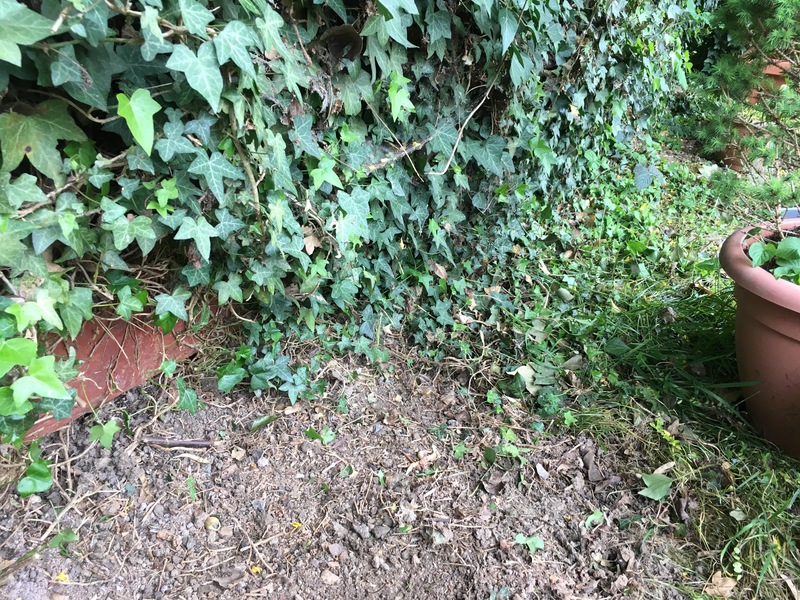 “You will want to clear the bottom of the fence of Ivy before it invades your lawn!” my cousin told me over the weekend. Sure enough she was right. 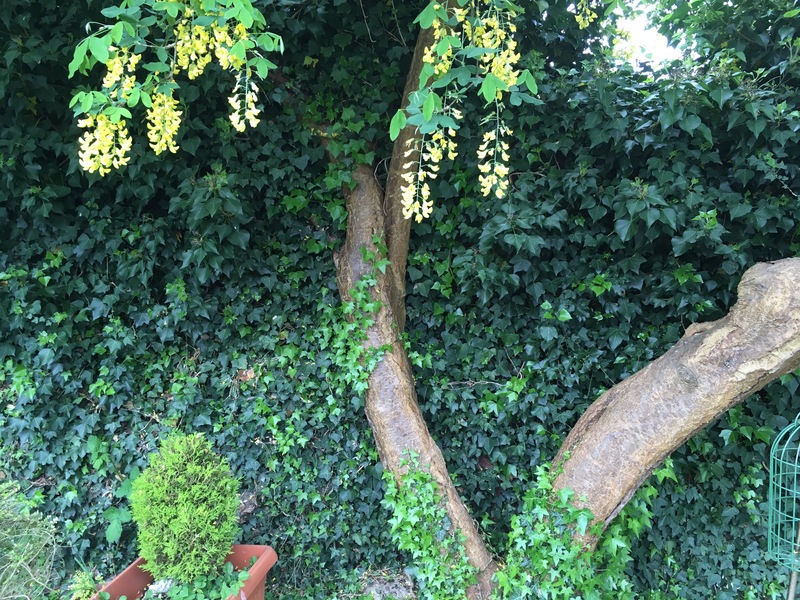 Not only had it crept about a meter into the lawn, it has also swallowed a branch of my laburnum tree. 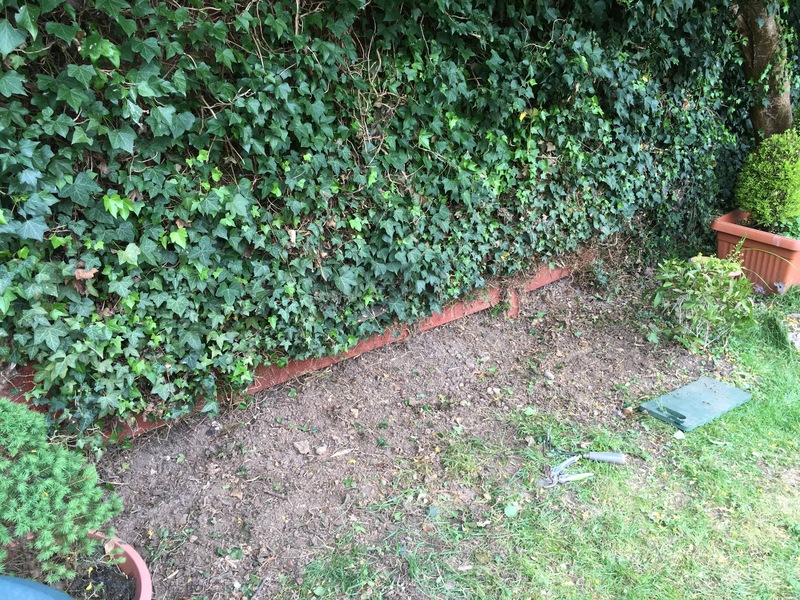 Several hours later the bottom of the fence was cleared of Ivy, and at least a meter of lawn has been cleared too. There is a lot of care needing to be invested into my lawn. 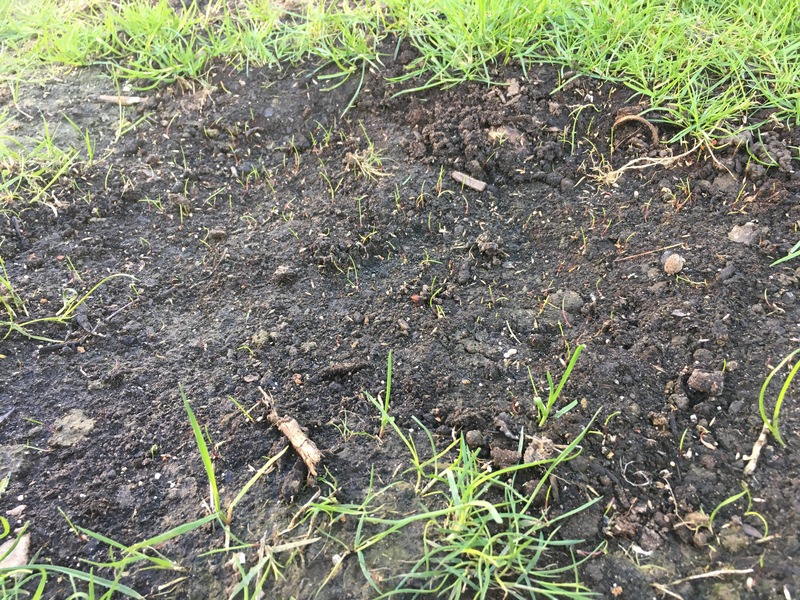 Chances are the only way to properly remedy it will be to put top soil right over the entire area, raked it smooth and spread grass seed evenly. 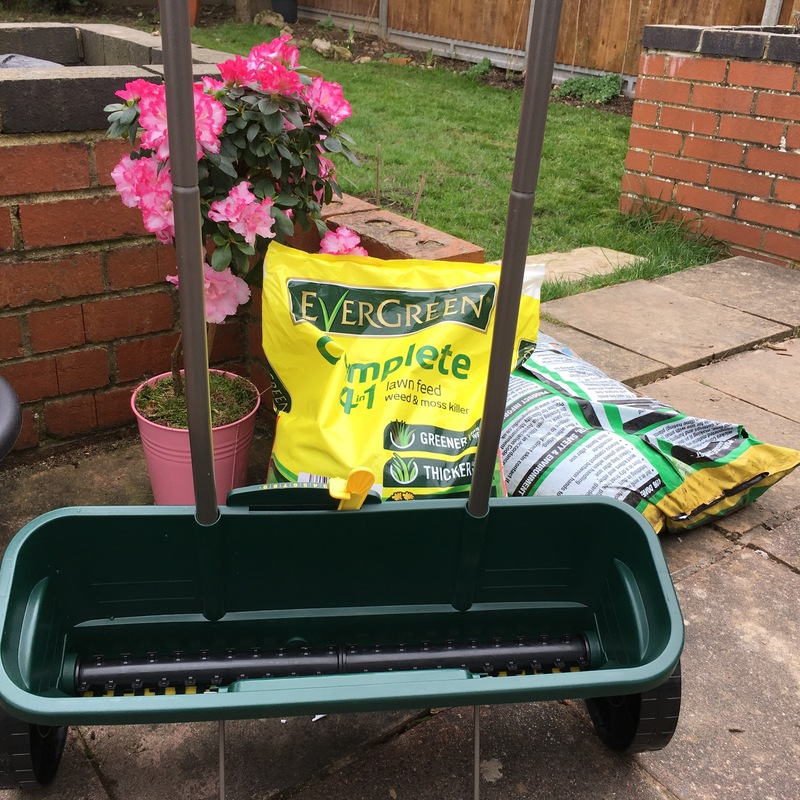 However I have young boys who enjoy playing out there and I don’t want to spoil their fun over the summer, so this will have to wait for a while. Meanwhile everyone who visits will just have to shut theirs eyes and ignore my funny lawn!! If my boys are anything to go by, yours will soon solve your lawn problem by turning most of it into bare, baked earth. I fought it for a while, gave in and left them to it. After a while they got big enough to play footie in the street (quiet road) or take themselves off to the park, at which point I reclaimed the lawn. 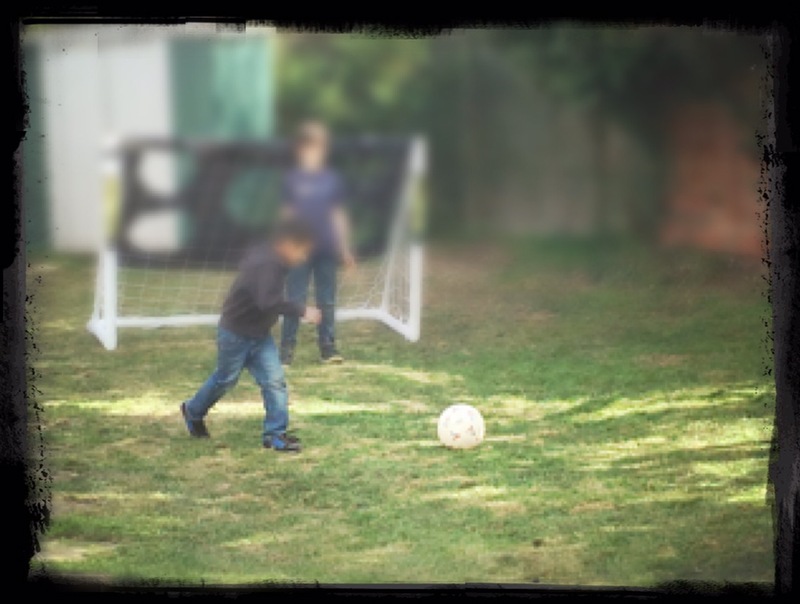 No footie allowed…. For several years my borders were a Darwinian experiment in what plants could survive being trampled, battered, fallen on, cycled over, struck by high balls, all sorts. Not many were up to it. 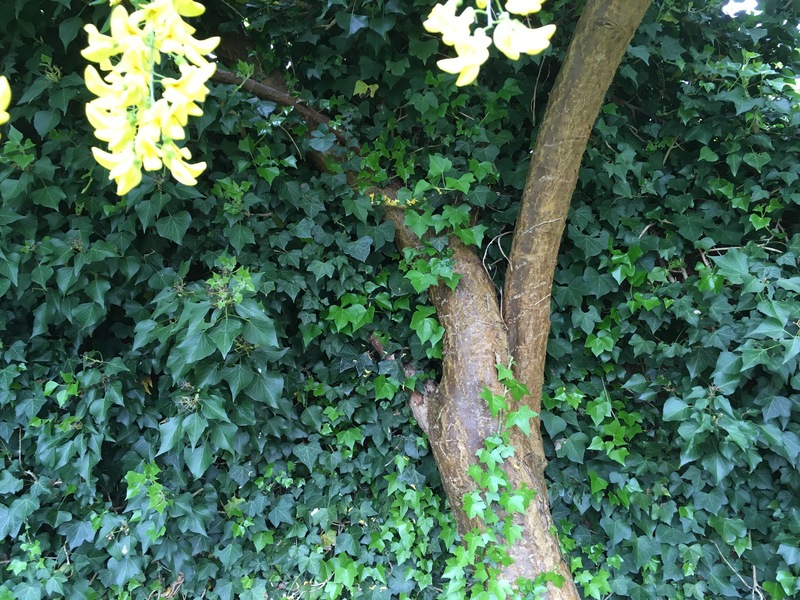 I often felt I should record the phrase “mind the plants!” and just play it at intervals on a loop. Good luck!